The first stage - oily gunk! Every time there is a heart-rending disaster somewhere in the world, the media rise to the occasion and as a result it seems so do we; one lot of humanity rightly concerned about another, digging deep in our pockets to give help. Of course there are literally thousands of charities the world over helping disadvantaged people and communities everywhere, which don't capture the public imagination in quite the same rather immediate way - their work is continuing and enduring, not some sudden crisis but a steady, life affirming push forward to help people, to help themselves. 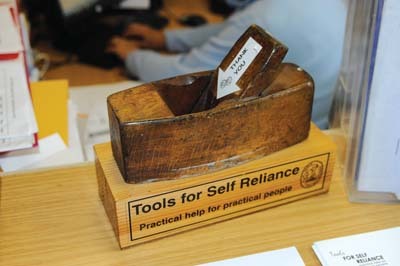 One such is 'Tools for Self Reliance' a mature charity, a full 30 years old, based in Netley Marsh near Southampton. Julius Nyerere and Most Rev. Trevor Huddleston - now deceased - were founding patrons, and today patrons include Archbishop Desmond Tutu, Susan George and Archbishop of York, John Sentamu. I felt it was well worth looking at their valuable work and seeing how readers might even participate in practical ways to further the charity's success. My thanks to their press officer Rob Westcott and Jon Dunkley, operations manager for showing me around and being so helpful, passing on their enthusiasm for what they are doing. It started in 1981 in Netley Marsh because the founder lived nearby. 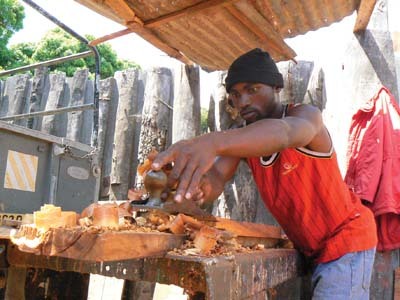 The aim of the charity is to provide tools and training to Africans in rural communities so they can start or develop existing businesses where they lack the money and the means to do so. 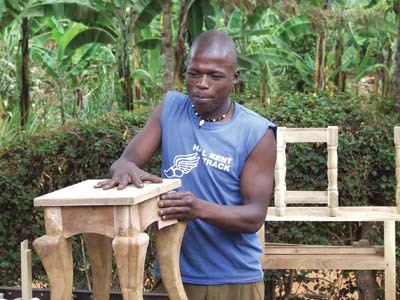 Demand for goods and services has soared but there is a shortage of people with practical skills and also a shortage of tools. In addition there are problems of long term unemployment especially among the younger generations. 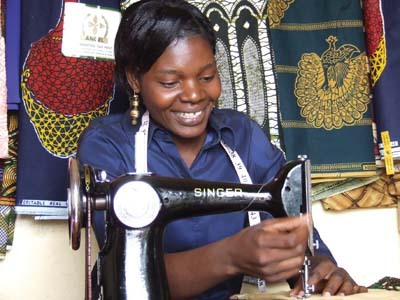 In many cases it not only allows them to work for money but gives a decent roof over their heads, a proper business premises and, in the case of women, it empowers and gains them respect and the chance to send their children to school. To do this requires three things: tools, volunteers and money, and as Jon Dunkley explained to me, the balance between these three changes. Currently they have a good supply of tools, plenty of volunteers, with 200 on call at Netley Marsh and many more all over the country with 51 groups from 15 in number right down to just two people in a shed in some cases, as well as two university groups at Cardiff and Nottingham. The third thing they need more of, you will have guessed, is money. 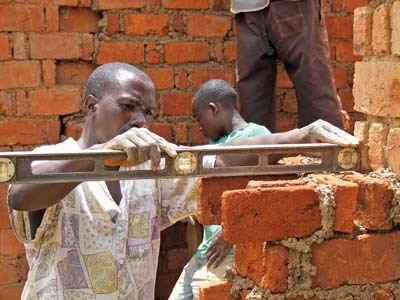 Currently Tools for Self Reliance have working partnerships in six African countries - Tanzania, Uganda, Ghana, Sierra Leone, Malawi and Zambia - on 40 different projects, plus work with 12 other organisations in Zimbabwe, Kenya, Cameroon and the Gambia. Tools come in for refurbishment and then are boxed ready for dispatch by sea and finally an often lengthy and expensive road haulage trip to the final destination. That is a drastic over simplification of a very complex and well-established process. Now to give you an idea of the work involved. Tools come from various sources but are often given by widows - I wouldn't want to worry you, but - their husbands were very practical and often had been carpenters or joiners. Wherever the tools come from they all go through the same process. Everything has to be sorted into type and condition. The worst examples go for scrap and the unusual may well be auctioned off or offered for sale at one of their many fundraising events. The vast bulk will be stripped down and cleaned. 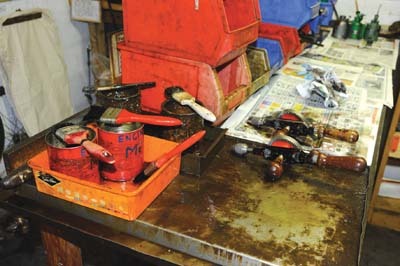 I saw one very wet, oily bench and tools swimming in degreasing agent. Hammers for example, of which they can supply 14 different types, are all rehandled without exception, for safety purposes. 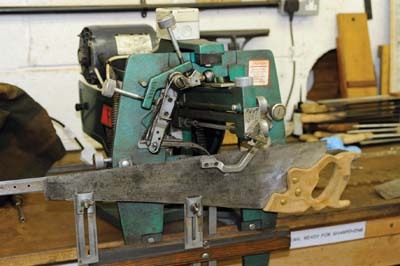 Saws are resharpened and set on dedicated equipment which Jon proudly showed off to me. As with so much of the machinery at Netley Marsh, it was bought at an advantageous price or given by individuals or charitable providers. 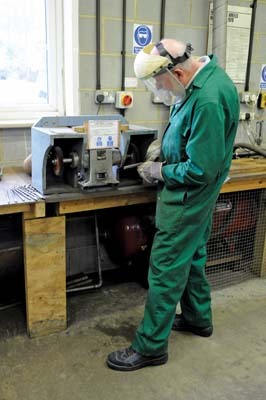 Tools such as spanners get the shot blasting treatment then buffing on wire wheels to give a longer lasting rust resistant finish. Last year, for example, out of 32,553 tools sent to Africa, no less than a mind boggling 6,018 sharpened drill bits were supplied. Then there were other items in the list such as 378 hand sewing machines, 178 electric sewing machines - voltage is identical to the UK - 4,406 screwdrivers of 19 different types, 1,851 hammers of 14 types and 1,528 saws of 12 types - and that is just a part of the supply list for last year. In order to make this enterprise work a 'tool sending' database logs everything; Tools for Self Reliance have established a list of about 100 different tool kits that range from one person right up to a full training kit and various sizes in between. 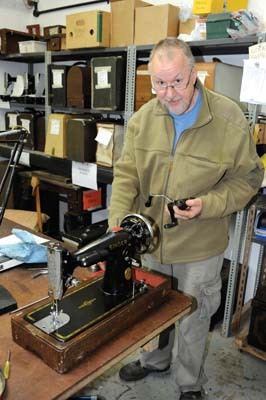 They cover skills such as haberdashery, motor mechanics, blacksmithing, bicycle repair and woodworking, to name a few. Volunteers come in possibly just for one day a week to help with specific tasks that need carrying out. 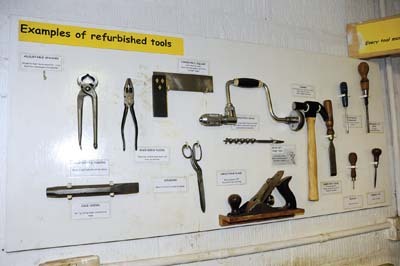 Once the tools have been cleaned and restored to good condition they are stored in bins ready for selection. Standard sizes of toolbox are made from reclaimed timber and board; new wood is never used thus keeping the cost low. 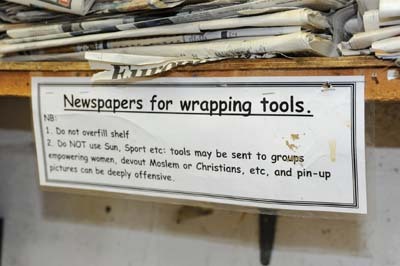 Newspaper - no page three material though, to respect the recipients' moral and religious sensibilities - is used to wrap tools and keep oil and grease in place. Each kit is marked to show content type and destination and then a friendly retired shipping agent arranges for each shipment stuffed into standard ISO containers to be shipped. 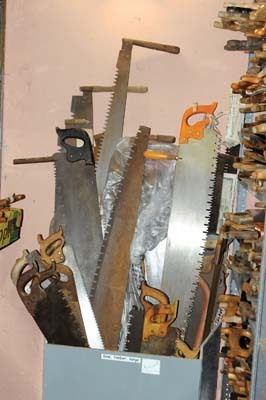 Up to ten 20ft containers jammed full of tools go out each year. Unfortunately, the most expensive part of the operation is the road trip at the other end. 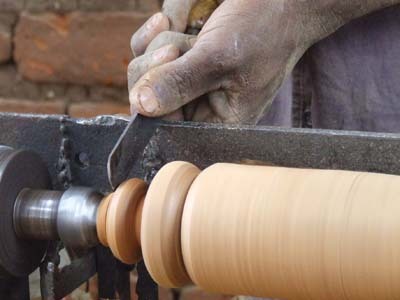 Low cost of operation, reuse of packaging and tools brought back into use instead of going to landfill also make this charity good for the environment, as well as helping the peoples of the African continent. 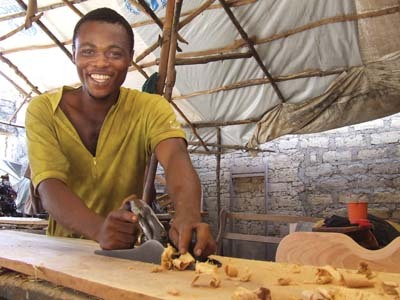 Tools for Self Reliance is successful because the charity is not only well established, it also partners with groups and organisations in the recipient countries. With their partners they aim to send out staff several times a year to evaluate the success of what they are doing and see how the service can be improved. 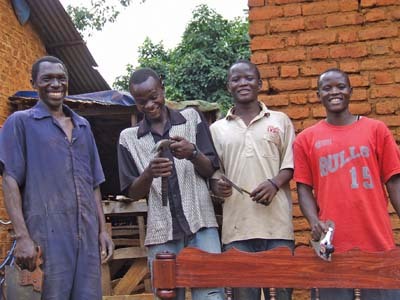 Although the tools are free and the volunteer labour is free, everything else costs money including headquarters, staff and transport; however, they reckon for every Â£1 donated it produces £3 in value to the charity and in 2011 alone they were able to send 756 toolkits of all sizes to Africa. 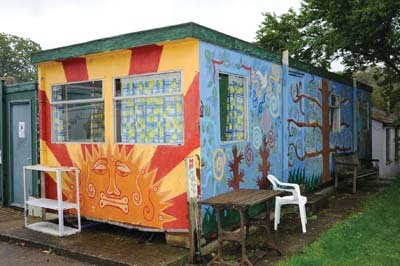 As well as raising money through open days and events Tools for Self Reliance have also become involved with Age UK and their 'Men in Sheds' initiative which has Lottery funding. 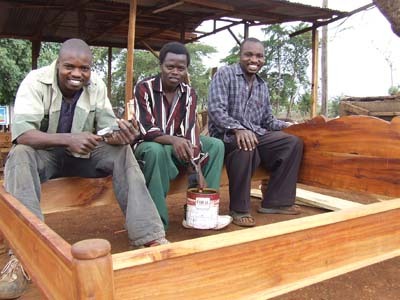 This is the perfect way for retired men to work together and get involved with Tools for Self Reliance. If you are interested in becoming involved as a volunteer of any age, or providing unwanted tools or donating money to support their work then please contact them via the website or phone.